La MaMa in association with Perforacije (Perforations) Festival in Croatia presents Perforations Festival New York, a live arts festival featuring some of the leading contemporary performing artists from the Balkan region. The festival includes 12 productions with more than 50 artists from five countries—Bulgaria, Croatia, Serbia, Slovenia, and Macedonia. The Perforations Festival takes place annually in Croatia and presents a range of artists working in performance art, theater, and dance, whose diverse approaches to art-making blurs the borders between these genres. Their work touches upon issues of identity (public, political, religious), redefining borders and space, a collective past, and personal histories, but most of all their work talks about the present. Highlights from this festival will be presented in New York, offering audiences insight into contemporary lines of artistic thinking from some of the most provocative and influential artists in the region. Performances will take place at Club La MaMa, 74A East 4th Street (between Bowery and 2nd Avenue), New York City. Performances run March 11–20 (Friday, Saturday, and Thursday at 10pm; and Sunday and Monday at 8pm). Tickets are $15 for general admission/$10 for students and seniors. Tickets can be purchased through La MaMa’s box office at 212-475-7710, and online at www.lamama.org. The performance installations on March 14 and 18 are free of charge, but a reservation is required. On Monday, March 21 from 6–8pm, TCDS of The New School for Social Research will present Transgressing Borders in the Balkans: The State of Art, a panel discussion with festival participants, artists, academics, and experts on the region. Location: The New School for Social Research, 66 West 12th Street, Room 510, New York City. Ivo Dimchev is a choreographer and performer whose work is an extreme and colorful mixture of performance art, dance, theater, music, drawings, and photography. Over the last several years, he has become known for his radical work in the area of physical theater. Dimchev’s incentive for creating Lili Handel came from the idea of the human body as a subject of physical and aesthetic consumption. Lili Handel has been presented more than 70 times in Bulgaria, Macedonia, France, Hungary, Italy, Turkey, Romania, Germany, Slovenia, Czech Republic, and Sweden. Will You Ever Be Happy Again? Are we ever going to be happy again? It's a question the German population asked themselves at the end of the Second World War. A significant part of the Serbian population faced the same question in the wake of the new millennium. Conceived and directed by Sanja Mitrović (2010 BNG Theater award for Best Young Director), Will You Ever Be Happy Again? is developed around autobiographical accounts of its performers, the Serbian Mitrović and German Jochen Stechmann, and employs documentary strategies to explore how nationality influences one’s personal identity. Petra Kovačić is a 2008 graduate from the Academy of Fine Arts in Zagreb. The concept for Act(ing) originated from her desire to provide audiences with the experience and feeling of creation. The work is defined as a performance installation—a symbolic view of the creation of a visual artwork that is developed over the course of the performance. Željko Zorica has worked within different artistic fields as a coauthor of theater performances, set designer, puppeteer, dramatist, graphic designer, writer, and founder of several theater companies. The piece is part of an ongoing project that started in 1983 when Zorica developed a fictitious scholar named H. C. Zabludovsky whose writing investigates the phenomena of people rarely stopping and reading what is written on memorial plaques. In response, Zorica has created a faux space that memorial plaques occupy, replacing the plaques with light monitors that screen text and visual material referring to the commemorated person or event. Damned Be The Traitor of His Homeland! Mladinsko Theater is known for its wide range of innovative works by various young directors and its ensemble energy, which avoids star hierarchy by investing in a laboratory approach to build its creative ensemble. In Damned Be The Traitor of His Homeland!, Croatian director Oliver Frljić led the company through a series of improvisations to create the language and material for this work. Using an aggressive style, the piece deconstructs Yugoslavian political, theatrical, and historical stereotypes while addressing the danger of committing a crime. In Igor Josifov’s work, an analogous collapsing of borders occurs between artist and form. After several years working in a range of media, Josifov has now chosen his own body as his primary and essential medium. Present Memories is a performance installation in which Josifov comments on the process of entering and moving through different mental constructs that artists embody during performance. He will perform elements from five previous works in this revisiting process which are anchored in visual and body art and share a through line of endurance. Via Negativa’s work is focused on the relationship between the performer and the audience in real space and time. This relationship is identified as a complex flow of points of view, expectations, judgments, conclusions, recognitions, stereotypes, fallacies, prejudices, tolerance or intolerance, and knowledge or lack thereof. The company dedicated its first seven years (2002–08) to addressing the seven deadly sins. Out, the final piece they developed during this period, focuses on the sin of vanity. The work examines the logic of expectations in the relationship between viewer and performer, and tests how the spectator and performer will act out their roles in a situation in which it is no longer clear what they can expect from each other. Via Negativa’s Game With Toothpicks is described as a documentary performance where a Serb and Croat enact a knife-game scene (which is also referenced in Marina Abramović’s Rhythm 10), literally cutting each other on stage. This scene is part of the piece Not Like Me and reflects upon the horrified media response to the work. Game With Toothpicks deals with the media’s “exterior” reaction as if it’s the “interior” of their experience. Performers Kristian Al Droubi and Boris Kadin adopt two radically different positions, turning the performance into an absurd self-referential machine. Invalid begins in 1990 when the performer, Primož Bezjak, injures his knee after being struck by a stone. Bezjak is an active dancer, actor, and performer, and discusses his diagnosis and therapy at length. At every rehearsal and performance he is in constant danger of dislocating his knee, which has happened many times before. His solo is a metaphor for the invalid production of the system, which we maintain ourselves. At his request viewers render him impossible, until he remains without arms and legs. Invalid system can prosper by invalids only. Without crushed knees and elbows one cannot exist nor succeed in the system. Tonight I Celebrate focuses on the relationship between a performer and an audience, on its depth and profanity, its authenticity and illusion. The title song “Tonight I Celebrate My Love for You” by Michael Masser and Gerry Goffin serves as the introduction to eight popular songs from which the singer/performer Uroš Kaurin, accompanied on contrabass by Tomaž Grom, expresses his love for the audience. The ultimate question this work asks is: If the audience of today is ready for everything, does that mean that a performer of today must be ready for everything too? Ivica Buljan is one of Croatia’s most prolific directors; he co-directs Mini Teater with Robert Waltl, and is known for his extensive work with Pasolini and Koltčs texts. Ma and Al is inspired by various texts by J.D. Salinger as well as Koltčs' play Sallinger. The space is decorated with fragments of props and the border between the real and fictitious becomes blurred as the audience is called upon and drawn into the playful hysteria of the actors. Issues raised in the show are varied and about the everyday: family breakups, the death of a child, American democracy, the relationship between traditional and contemporary theater, art, and the Vietnam War. The Perforations Festival in Croatia is produced by Association Domino, a presenting organization that produces two major international festivals in Croatia annually: Perforations and Queer Zagreb. Founded in 2009, the mission of Perforations is to commission, produce, and promote internationally significant work by young and emerging artists from Central and Eastern Europe. Perforations takes place in three cities in each fall: Rijeka, Dubrovnik, and Zagreb. Queer Zagreb, which has been presented in Croatia since 2003, challenges heteronormativity within transitional societies through art, theory, and activism. 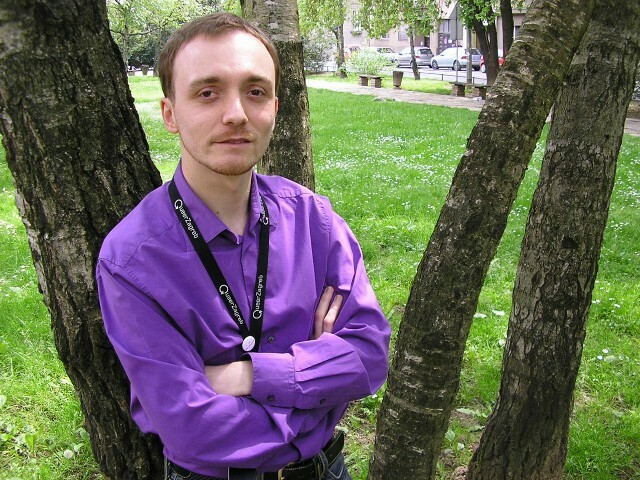 Zvonimir Dobrovic is the Artistic Director and Producer of both of these festivals. Perforations Festival New York has received support from Trust for Mutual Understanding, Dance Theater Workshop’s Suitcase Fund as part of the East/Central Europe Cultural Partnerships Program, with support from the Trust for Mutual Understanding, Ministry of Culture of the Republic of Croatia, FACE Croatia, Ministry of Culture of the Republic of Slovenia, City of Zagreb Office for Culture, Zagreb Tourist Board, City of Split and City of Ljubljana with additional support from CEC ArtsLink. Digital images are available upon request. Perforations Festival New York is coproduced by Zvonimir Dobrovic/Association Domino and La MaMa. Founder and Programme Director of Queer Zagreb festival that has been taking place in Croatia since 2003. The Festival grew to be one of the major international events in Zagreb with a program that has been recognised by the audiences and the media as innovative, progressive and cutting edge. In 2009 Zvonimir Dobrovic created Perforations Festival, an informal network of organisations and producers from Croatia and neighboring countries with the goal to initiate and promote regional cooperation and create opportunities for young and emerging artists. The new commissions and productions are then presented at the annual Perforations Festival that takes place in Zagreb, Rijeka and Dubrovnik, programming more than 20 new works by artists from the region. He has received arts management fellowships by Robert Bosch Stiftung, Japan Foundation and John F. Kennedy Center for the Performing Arts in Washington.